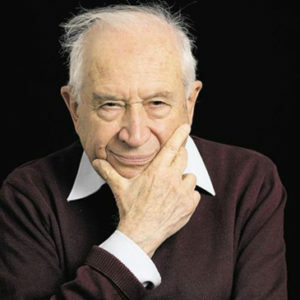 Phytecs > Raphael Mechoulam, Ph.D., M.Sc. Dr. Mechoulam received his Masters Degree in Biochemistry from the Hebrew University in 1952 and his Ph.D. from the Weizmann Institute in 1958 where he studied under Professor F. Sondheimer. He completed his postdoctoral research at the Rockefeller Institute. Dr. Mechoulam is currently with the Institute for Drug Research at the Faculty of Medicine at the Hebrew University in Jerusalem. He is former Rector of the University and is a member of the Israel Academy of Sciences. Dr. Mechoulam has received honors, including honorary doctorates from universities in Spain and the United States, the Israel Prize in 2000 and the European College of Neuropsychopharmacology Lifetime Achievement Award in 2006. In 2012, he received the Rothschild Prize. His research interests are the chemistry and biological activity of natural products and medicinal agents. His main contributions are in the field of the constituents of cannabis and the endogenous cannabinoids found in the brain and the periphery. He has published extensively on their pharmacological activities.